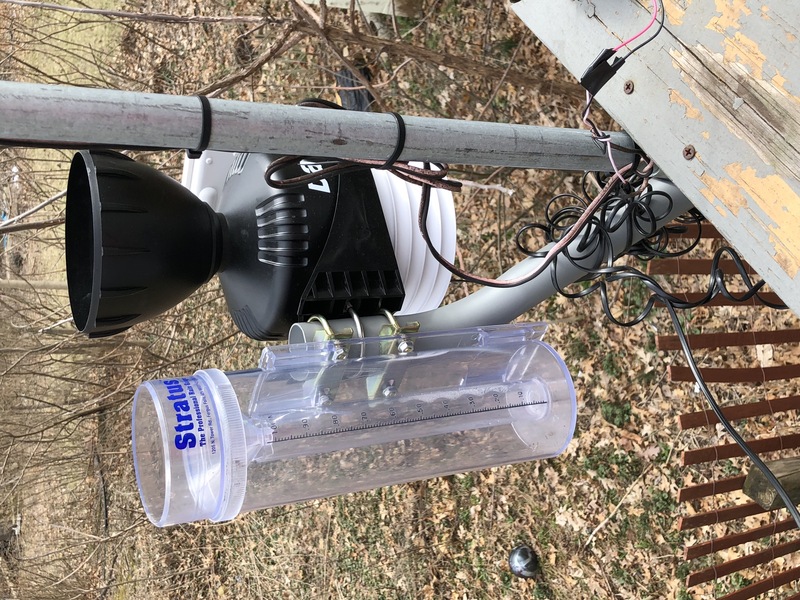 Hi all, I'm seeking opinions on the accuracy of and experiences regarding the WeatherFlow stations. I know there may be issues with rainfall - of which I don't much care. Temp, dewpoint, pressure, wind are my concerns. 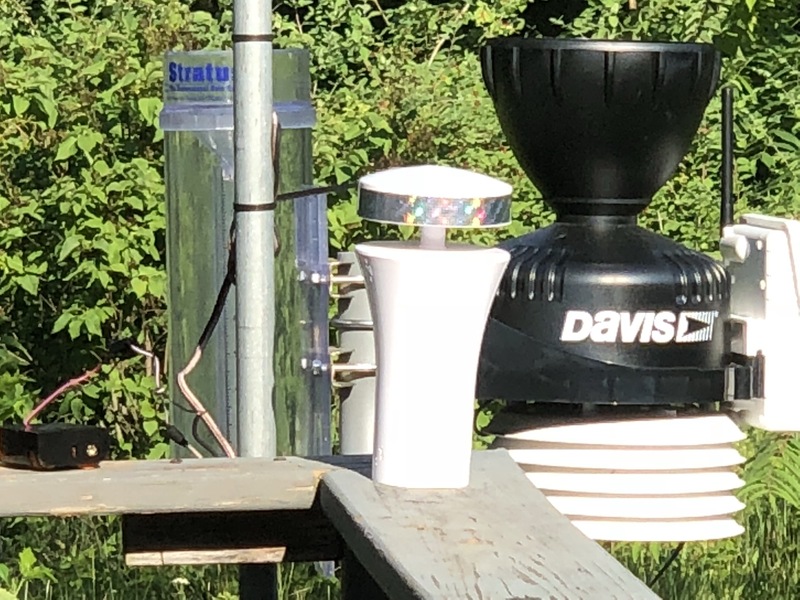 How is the sonic anemometer correction doing in rainy conditions? How high a wind have you all measured? Any thoughts are much appreciated. My preference is for no moving parts, which limits the list of options as far as personal stations are concerned. This is awesome. It looks pretty good. The pressure differences are presumably just calibration. Does your VP2 correspond well to other stations/ASOS? The pressure differences are presumably just calibration. Does your VP2 correspond well to other stations/ASOS? Beat me to it, same question. There's an ASOS (KMGJ) across town to the west, but it is in an open area with crazy wind exposure and I'm lucky to see 29 MPH peak gusts. There's also KSWF about the same distance to the east. WeatherFlow just added the barometer to their continuous learning (CL) algorithm in the past week or so, and I just peeked at the ASOS to see that I was reading 30.086 in the WF app when the ASOS was reading 30.07. (weewx was reading 30.06, because I had a pre-CL adjustment hard-coded into weewx. I have made no attempt to calibrate the Davis barometer. This question is not necessarily for you, but I've always wondered why some PWS have to "learn" the pressure. It's merely a measurement, like every other piece of data. Soon as power is supplied to a VP2 or Vue console the pressure reading is instantly displayed, there is no "learning". I have been happy with my WeatherFlow. It seems to read speeds a little higher than my Davis Vantage Pro on windy days. Not sure which is correct. Temp matches well with the Davis and I have it mounted in a box like this converted to a temp shelter. A few weeks ago I saw these on Amazon for $25 . With Acurite (and I think some LaCrosse systems now) "learn" a sea-level adjusted pressure by averaging pressure readings over time (e.g. 2 to 4 weeks). This allows a reasonable setting to be achieved without the user having know or do anything. The big disadvantage is that it is very slow method. Acurite only uses the "learning method" for the local console display value. Values transmitted to a computer or network are adjusted using more typical methods. My understanding of the WeatherFlow CL system is that it uses your elevation (gained from the network or manual input) to adjust the pressure, then further "fine-tunes" using regional pressure data from the network. It's almost like they are re-calibrating the baro sensor daily instead of yearly like you might to account for an aging sensor's drift. While that sounds good on paper, I'm unclear what practical advantage this has. 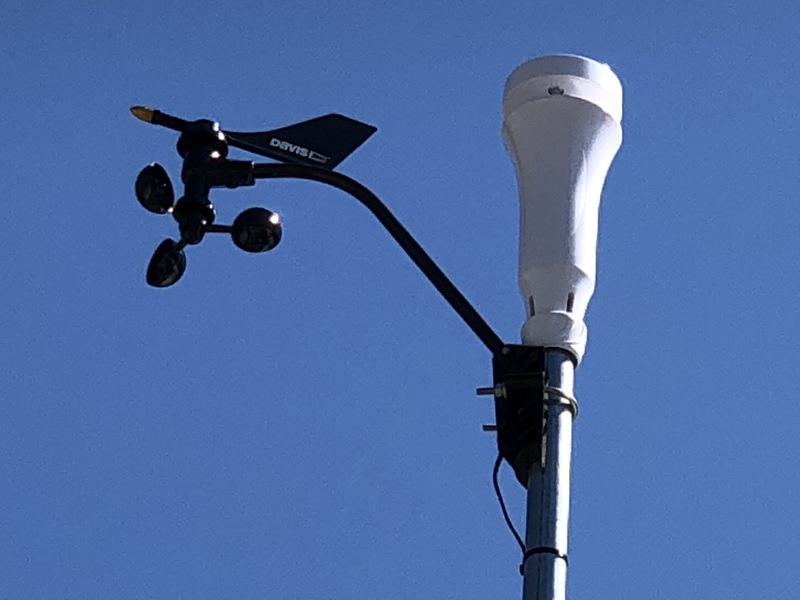 Maybe it's because the WeatherFlow baro sensor is outside, exposed to wide temperature variations, instead of being situated in a more temperature-stable indoor environment? This allows a reasonable setting to be achieved without the user having know or do anything. The big disadvantage is that it is very slow method. Holy crap. The only thing I needed to know was my elevation MSL and select "Altimeter Setting" on the console (obviously my choice of scale). No waiting, instant, accurate pressure! How can it be easier than that? ]Holy crap. The only thing I needed to know was my elevation MSL and select "Altimeter Setting" on the console (obviously my choice of scale). No waiting, instant, accurate pressure! By just unpacking the device and letting it figure it out on its own. Not all consumers understand how to set a barometer, or even know what their elevation is. WF is ultimately planning on having every sensor in their stations calibrated via CL, which of course requires finding/licensing global data source(s) for each reading to calibrate against. I'm guessing that barometer was a low-hanging fruit, and think I remember reading that they had a global satellite source for high noon UV measurements to get those trimmed in via CL. Interesting station. I would like rainfall comparison with manual Cocorahs gauge. Thank you all for your comments and especially for the VP2/WF comparison page which is fantastic. With your and other's comments, I went ahead and ordered a station from WeatherFlow. I'm a little nervous at all the sometimes long-term calibration which seems necessary but it seems like a very serious and promising hardware solution and one that I can well use (I'll take it mobile after calibration is done). I look forward to sharing my comparisons when I have them. The continuity of the WxFlow and the VP2 seems very impressive aside from precipitation amount. Is this correct? Well the rainfall accuracy on the VP2 is nothing to write home about. That's why I was asking if anyone compared to 4" diameter manual Cocorahs gauge. I like most everything about it, except that "haptic" rain sensor (I just commented on another thread, been meaning to here). IMO, it will never work. Its' precip measurements are entirely software synthesized, not actually measured. Derived solely from inherently indirect haptic (and audible?) inputs incapable of sensing all the permutations of precip. Trying to do that for such a variably 'physical' thing as rain, or precipitation of any/all types, which varies in so many properties, will never be accurate across the spectrum of precipitation encountered in actual conditions. The haptic sensor was one of big reasons I bought in (as well as the ultrasonics). Maybe haptic rain measurement is a dead-end. Maybe not. We won't know until we've really given it a shot. Personally, I'm optimistic for the tech. "haptic rain measurement is a dead-end". Trying to measure an infinitely variable tangible object intangibly. IMO, it just cannot be fully trusted. I'm not willing to give it a $300 shot. Maybe they should offer an optional standard tipping type precip gauge. I would probably bite for that. The ultrasonic anemometer however, I've been drooling over getting one of those for the boat for years. 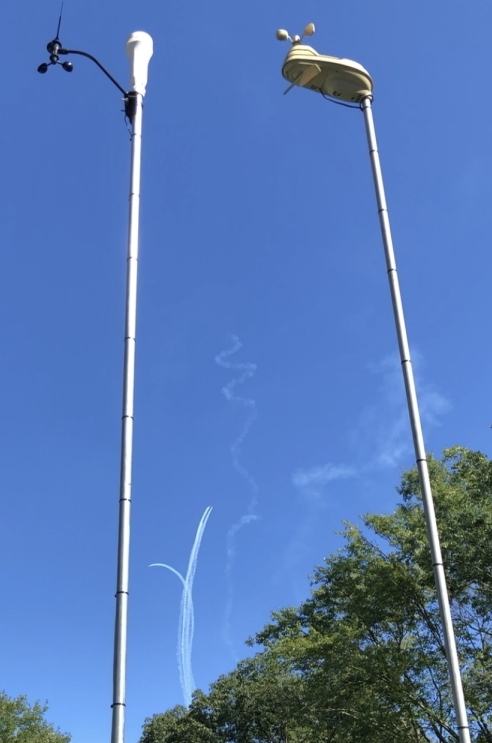 The standard mast-top wind direction and speed devices, almost exactly like those of most PWS's, are prone to damage atop a 44 some-foot mast (sea gulls, salt air, etc). Corrective repairs aloft are a real PITA. The top-end marine systems makers have offered nearly trouble-free ultrasonic true and apparent wind measurement units for mast-top mounting for a long time. Their target market is the high $pending yacht racing crowd of course, not so much the lowly cruisers. I think that the actual devices are sourced from Airmar, then branded by B&G, Raymarine, etc., as part of their top-end navigation packages. Though you can buy just the anemometer and a GPS-driven display, still quite pricey (as is anything "marine"). BTW, the key marine difference from stationary PWS's is the derivation of true and apparent wind conditions in relation to the heading and speed of the moving vessel, which requires a log, gyro, or GPS input and some simple vector calculations. See: your typical 'storm chaser' WX nut vehicle. Weatherflow came out this morning with a firmware update to the hub and I am now tracking my Atlas within .05 hundreds of a inch of rain all day long and still going, DSJ over there told me that the CL part is still not released yet for the rain calibration just a good old factory cal /algorithm! I re-mounted my SKY this evening just before a brief shower. I'll have to check to see if I have the latest firmware. Anyway, my Atlas and CoCoRaHS match at 0.09", but the SKY is over-reporting with 0.14. I thought the overage might be due to my re-mounting work, but that only accounts for 0.01" according to the time graph. It looks like my HUB rebooted about 4 hours ago, so I'm assuming that might have been the update. Yup your on the latest firmware,it seemed to miss out on the 5 hundreds of a in in a very light spurt of rain I am here in the Midwest and we are getting slammed yesterday and today.